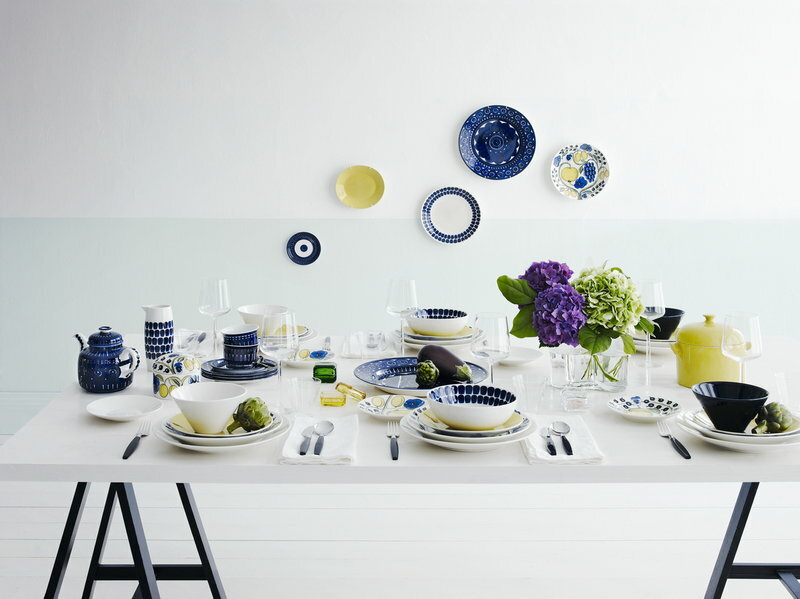 Arabia’s Paratiisi, Finnish for paradise, was designed by Birger Kaipiainen, the award-winning Finnish ceramic artist. 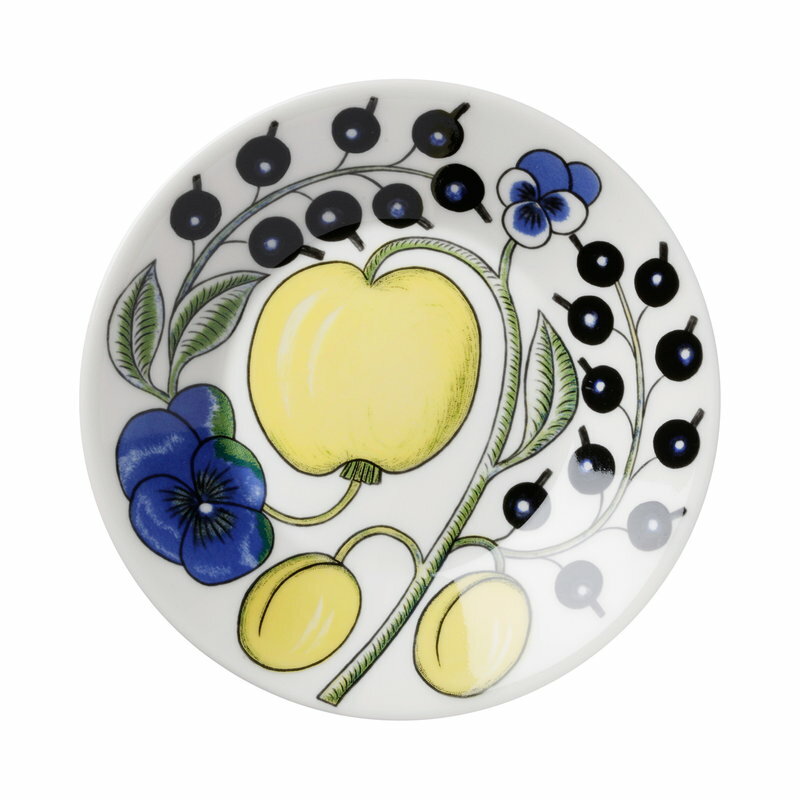 The tableware features a simple and beautiful shape complemented by a rich design of fruits, violets and black currants. 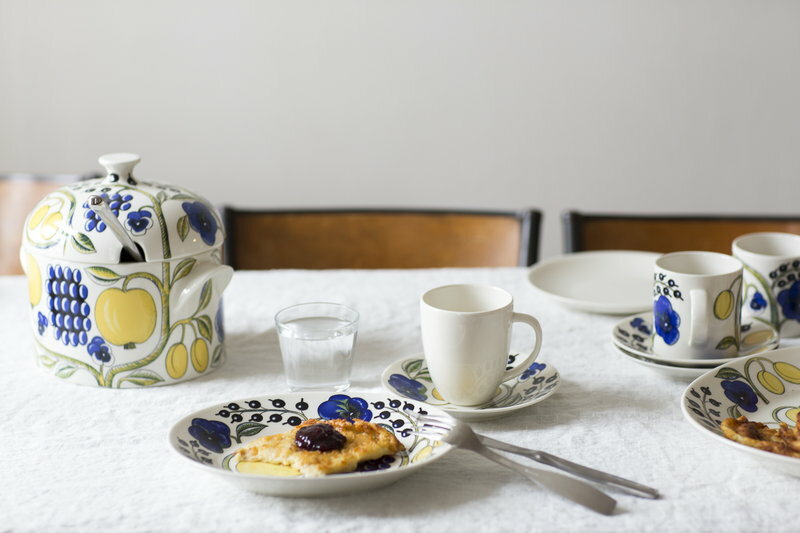 Created in 1969, Paratiisi is still one of Finland’s most beloved tableware classics. Birger Kaipiainen (1915-1988) was one of Finland’s best-known ceramic artists. After graduating from the Central School of Arts and Crafts he was offered a position at the art department of Arabia where he worked over fifty years. 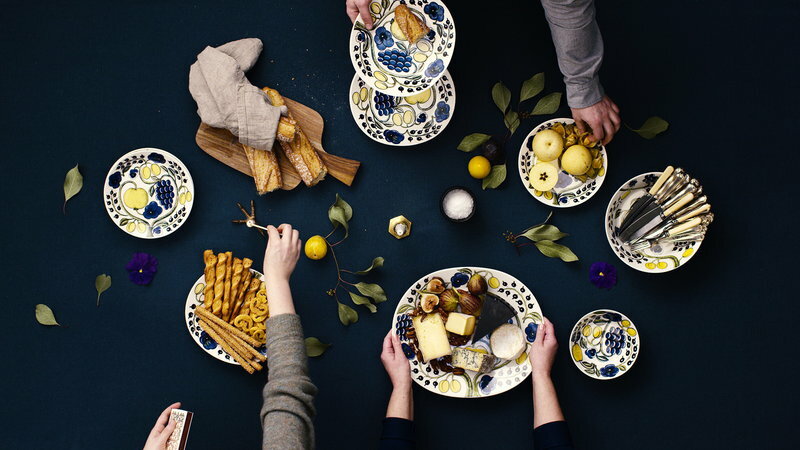 The talented artist was referred to as the “king of decorators” and the “prince of ceramics”. He received international fame at the Milano triennial in 1960 and Montreal Expo 67, where he won the Grand Prix. For the triennial, he had designed a series of birds made of ceramic beads. Montreal’s massive relief Orvokkimeri (Sea of Violets) was nine meters wide and almost five meters high, and depicted swans on a sea of violets. 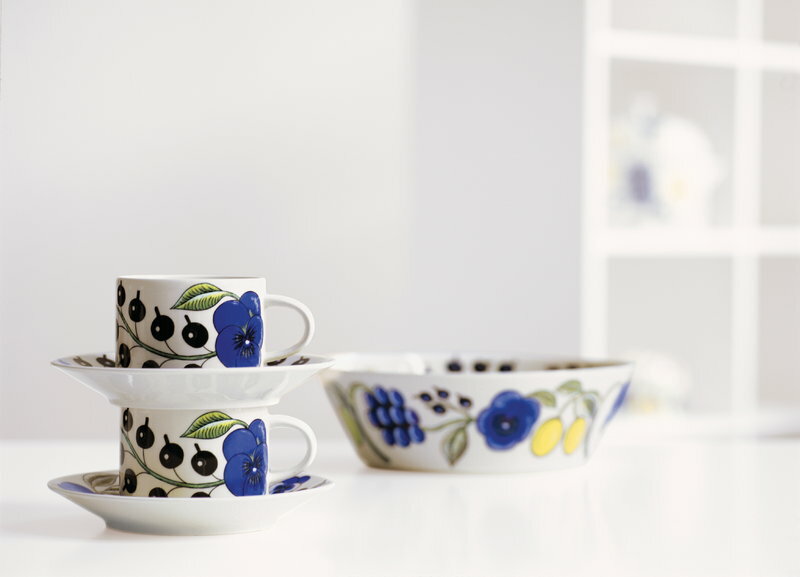 The artist also worked for Rörstrand in Sweden from 1954 to 1958. 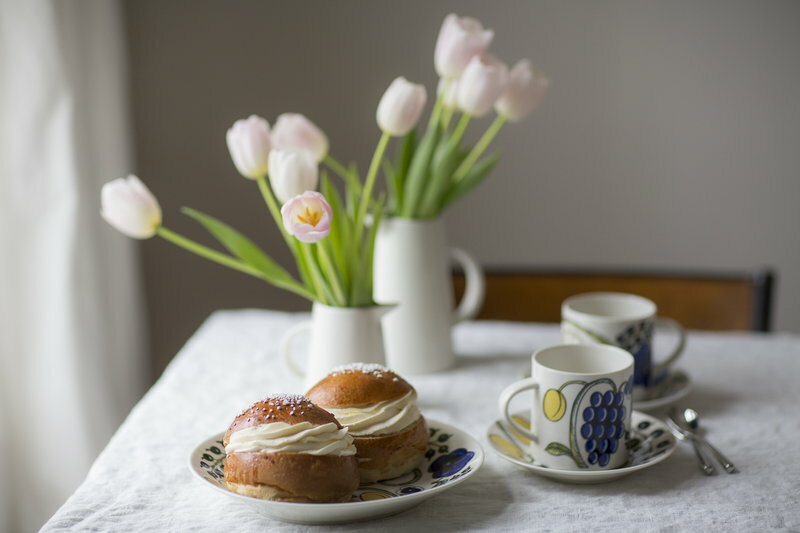 In 1957 Birger Kaipiainen created the wallpapers Kiurujen yö and Ken Kiuruista Kaunein for Pihlgren & Ritola. 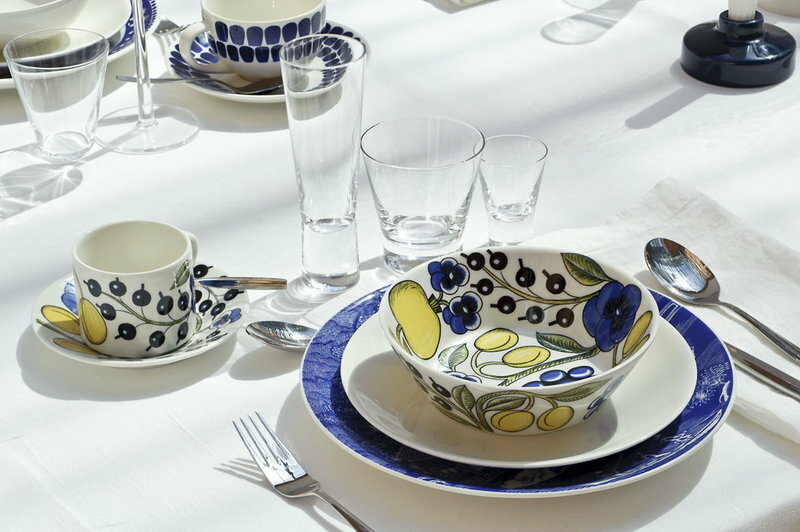 Arabia’s tableware classic Paratiisi (paradise) was designed twelve years later. 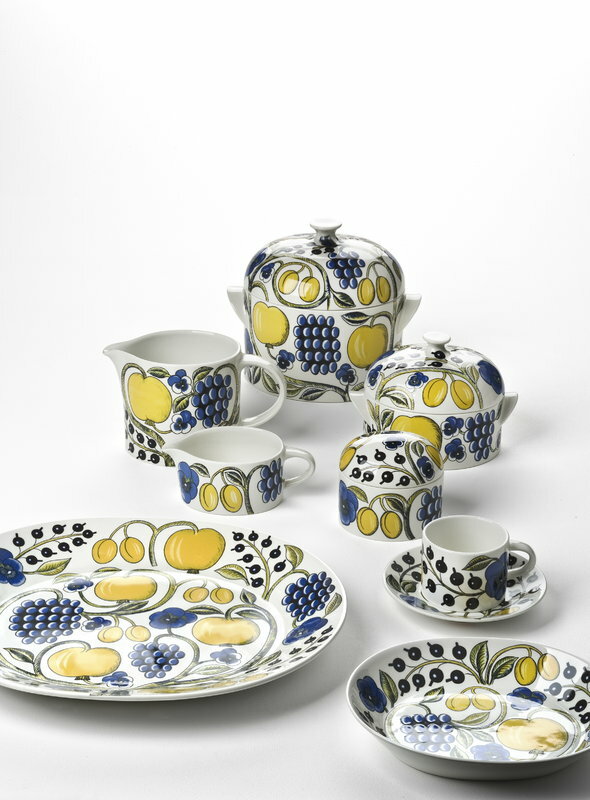 The series’ second quality ware was adorned by the verdant pattern Apila (cloverleaf) in the seventies. Kaipiainen was granted the honorary title of Professor in 1977 and state pension four years later. Nevertheless, he continued working on new ideas at Arabia’s factory until passing away in 1988.